As the NBA playoffs get going, fans should see a huge increase in effort on the defensive end of the floor. Teams rested players at certain points of the season to win 16 playoff games and a title, and it should be an excellent postseason. A team’s offense will get all of the glory because points bring in fans, but without a good defense, your team can get eliminated quickly. Ask Portland how things went for them last season. Let’s take a look at the five best individual defensive performances in the NBA playoffs since 2000. Jason Kidd is one of the best point guards to ever step on a basketball court. While he wasn’t always known as a prolific scorer, his intangibles and ability to dominate on both ends made him a tough competitor for any opponent. 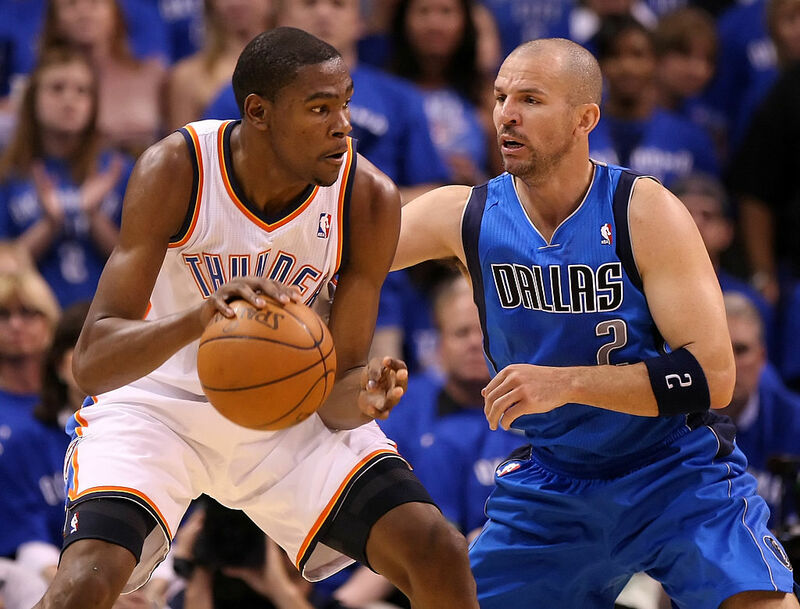 In Dallas’ first-round matchup against the Oklahoma City Thunder in 2012, Kidd ratcheted up his defense and swiped seven balls away from the Thunder. He finished the game with eight points, seven steals, six assists and eight rebounds in a great all-around performance. Before the Nets moved to Brooklyn, their home was in the Garden State. Experts considered Davis one of the league’s best young guards who could score at will against anyone. While his offense was never in question, Davis stepped up on defense in Charlotte’s 2002 series against New Jersey. In Game 1 of the series, he put on a masterful performance. He picked off seven passes in the loss to New Jersey. Davis finished with 23 points, seven steals, six rebounds, and five assists. He had seven steals in Game 3, the only contest Charlotte won in the series. Alonzo Mourning enjoyed a Hall of Fame career, and this game against the Pistons was one of his defining moments. Detroit simply didn’t understand how much of a force he was in the paint, as he swatted shots with reckless abandon and pulled down rebounds with ease. He finished the game with 20 points to go along with the nine blocks rebounds in the Heat’s victory in the first game of the 2000 NBA playoffs. The Spurs and Suns had many memorable battles in the NBA playoffs during the 2000s, but Duncan’s performance in the 2007 series clincher stands out above the rest. He grabbed 13 rebounds and blocked nine shots, while also putting up 24 points. If it weren’t for Manu Ginobili pouring in 33 points and Duncan dominating on the defensive end, the series would have likely gone to seven games. Instead, the Spurs won in six games on their way to sweeping Cleveland in the finals. The Magic were one of the best teams in the league a decade ago as they made their way to the 2009 NBA Finals. With former No. 1 overall pick Dwight Howard anchoring the middle, they had a good shot at beating the Lakers if he got a little bit of help from his supporting cast. Howard turned in one of the best defensive performances in the modern era of the NBA playoffs. 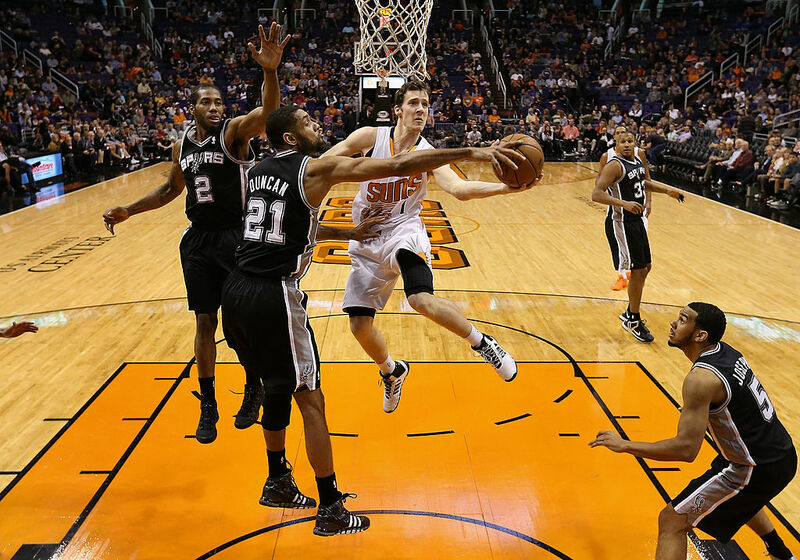 He pulled in 21 rebounds (15 on the defensive end) and recorded nine blocks in the close loss to L.A. The defeat put Orlando in a 3-1 hole that they would not climb out of, but fans were still in awe at his amazing performance. Who will have excellent performances in the 2019 NBA playoffs? After taking a look at the five best defensive performances in the NBA playoffs since 2000, which players do you think will have a chance to put up similar numbers this year? Our money is on Joel Embiid in the East or Rudy Gobert in the West since they are arguably the two most prolific shot blockers in the game today.